The bank has caused uproar by announcing it will shut one-in-three branches, a total of 62 across Scotland and 18 in the north and north-east. Politicians of all parties have accused the bank of turning its back on Scotland as branches across the Highlands and Islands, Moray, Aberdeenshire and Perthshire are set to close from May. Now, MPs will hold bank executives to account for the decision at Westminster’s Scottish Affairs committee. RBS personal and business banking chief executive Les Matheson will give evidence to MPs alongside other senior executives. Committee chairman Pete Wishart, SNP, said he wanted to hear the justification for the closures. 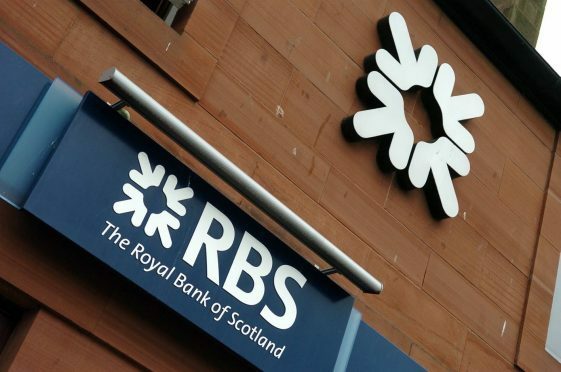 He said: “RBS’s decision to close over 60 branches will have a serious impact on the people of Scotland and may leave some rural communities without a local bank. “We will want to hear from RBS how such cuts can be justified by a bank that the UK Government, and therefore the taxpayer, still owns the majority stake in. Bank chiefs have stressed the decision is a result in falling customer numbers due to an increase in online banking. A spokesman said only 1% of customers are regularly banking in person, with most customers now using the internet. He added they were providing customers with “more ways to bank than ever before”, including a fleet of 20 mobile branches. But the Press and Journal – which is campaigning with The Courier against the closures, has uncovered new data revealing the threatened branches are in some of the UK’s worst areas for broadband coverage. Of the 18 northern branches facing the axe, 12 are in areas in the bottom 20% of broadband coverage – including five in the worst 10%. Planned closures include a branch on one of Scotland’s remotest islands, Barra in the Outer Hebrides, which will mean customers need to catch a ferry to use the nearest counter service. A petition to save the Barra branch has already attracted nearly 7,000 signatures – more than six times its entire population. Caithness, Sutherland and Easter Ross Lib Dem MP Jamie Stone has also called for a system where banks share face-to-face facilities through a jointly-owned subsidiary, on a similar model to cash machines.